And a fine collaboration it is. To describe MPA’s music as simply reggae, island, or R&B would do it a disservice. 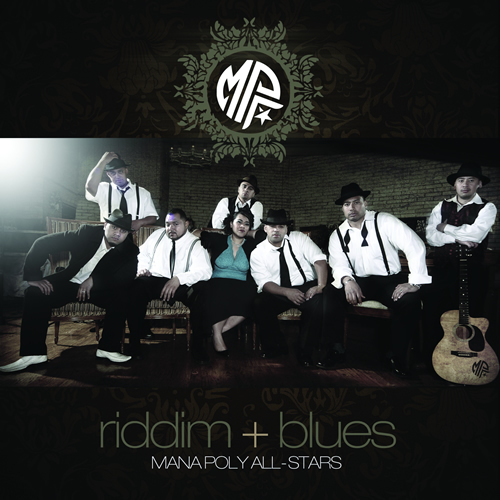 “It’s fusion reggae,” MPA’s manager, Jillana AhLoe explained to me in the parking lot of Salt Lake City’s Club Vegas two weeks ago. I had called Nela for a follow up to my first piece about him and, he invited me out to meet all the guys and Jillana. They wouldn’t be playing until nearly midnight, so we walked outside for an impromptu interview. For those of you who loved Pau Hana but may be new to MPA (and there are a few of you, judging by the hits I’ve been getting to my previous post and the search terms bringing you here), let me introduce MPA’s sound and style from the reference frame of Pau Hana. Common to both groups are Nela’s lead vocals, his mid-song “chatting,” and a certain best-of-all-worlds sound. Both groups also share reggae undertones. But whereas Pau Hana was Jawaian (reggae plus Hawaiian), MPA is reggae plus R&B. The depth and richness of Pau Hana has continued to MPA, but it’s more mature and refined. It’s also more vocally diverse, thanks to the rest of the ensemble. When Nela and pal Kalani Hafoka started MPA in 1999, they set out to recruit the best of the best—a cast of all-stars, if you will. The band’s name is a construct that describes exactly who they are. “We sing the melody, everybody picks their part—boom!” added Nela. Those rich harmonies are no better showcased than on Riddim + Blues track “Guarantee,” a tune about solidifying love. Listen to an impromptu parking lot version of “Guarantee” that I recorded at the interview. The audio quality isn’t great but it’s good stuff. In fact, whether it’s devotion (Good Love), the practical side of marriage (Give U Love), or romantic pining (One Step Behind), most tracks on Riddim + Blues are odes to love. The sultry vocals of MPA’s only female MPA member, Luisa Hafoka, complement the male harmonies in fine fashion. “Gunshots”, a story about the tragedy of two gang incidents, is another landmark track. The song won the award for social action song of the year at the IMA’s. The album itself won reggae album of the year at the Hawaiian Music Awards. Their debut album, S. Pacifik Musik has won awards as well. 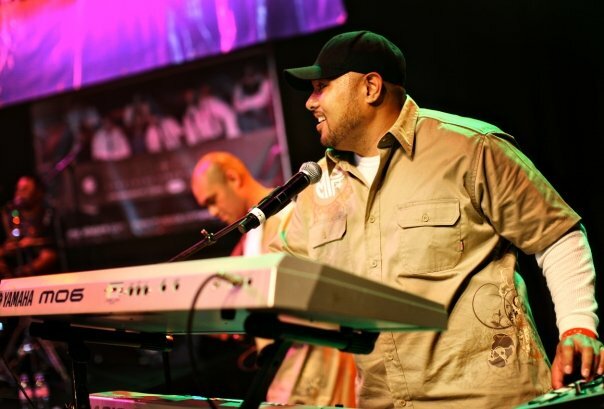 Overall, Riddim + Blues fuses smooth R&B vocals with prominent reggae rhythms. The Polynesian connection to reggae music, Nela explained, is natural because of its universal vibe. Nela has been adopting elements of reggae since Pau Hana, incorporating intro toasts and chat interludes. Nela’s “chattin’” is what drew me to Pau Hana originally. It’s like rap, but with partial melody. It’s raw, yet highly structured. Nela does it masterfully in pure island chant style. Some MPA chats incorporate harmony from the others—like a song within a song. I’m going to officially request that their next album include a track that consists entirely of chat. In short, Riddim + Blues is a rock-solid record and an instant classic. 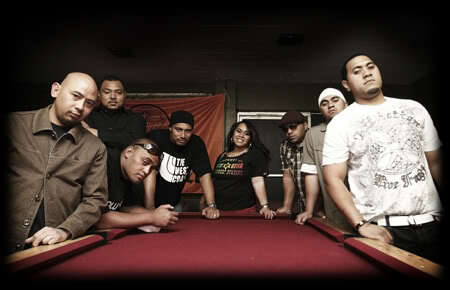 MPA’s unique fusion of island music and old school R&B is full of soul-catching beats and lush harmonies. I’m not a genre guy. I love good music. And trust me, MPA is good music. Will Riddim + Blues replace Return with Honour in my CD changer? No, because I think by now RwH has seared itself onto my turntable. But R+B has the next slot over– and it will probably stay there a good while, too. The Mana Poly All-Stars are: JAMES RUBI-lead guitar; TANIELA “NELA” OTUAFI-vocals, keyboards; KALANIANAOLE HAFOKA-vocals, guitar, bass; NA’A HAFOKA-rhythm guitar, vocals; SIOSIFA “ESE” TAIESE-drums, vocals; SETEMA GALI, JR.-keyboards, vocals; LUISA HAFOKA-vocals; VAEA TAUTEOLI-Bass. Check out MPA on their website and on Myspace. Buy Riddim + Blues here. The following is the first installment in a 2-part profile of musician Nela Otuafi. Every so often I’m privileged to run across a musician with out-of-this world talent, whose work transcends genre and works its way into your soul. I’ve profiled a few such artists on this website. If you recall them, you’ll notice they hail from many different points along the musical spectrum. Today I’d like to add yet another artist to that growing personal pantheon. Of course you could argue that Nela Otuafi could have been one of the first on the list. After all, I discovered him over a decade ago on a road trip to California with my little brothers. Our destination was the Pacific Ocean– any beach would do. Our means: my newly acquired ’93 Dodge Spirit. It’s violet upholstery and snazzy white frame would be a handsome combo on the streets of Las Vegas and LA. Our Samoan neighbors had given my brother a CD by a Polynesian group called “Pau Hana,” which he popped into my cassette adapter Discman near Mesquite, Nevada. We didn’t take it out again until we arrived back in Salt Lake City two weeks later. The album was titled Return with Honour. The music was a unique fusion of reggae and traditional island music. The instrumentation was brilliant. Even today, the tracks on that CD are fresh, their melodies timeless. I listened to the CD again this summer and wondered about this group whose music I loved but who I knew virtually nothing about. So I did some Googling. Turns out Pau Hana still tours and releases new music, albeit with none o f the original band members. Eventually I caught up with Mr. Otuafi, the band’s founder and original songwriter. BONNEVILLE MARINER: Tell me a little about your musical background. OTUAFI: I come from a really musical family– it’s in my blood. I went to a school for creative performaing arts and that really helped me nourish my talents. All Polynesians have a musical ear, but they may not know music philosophy or theory or structure. School really helped me with that. BM: How did you get started with Pau Hana? OTUAFI: I formed Pau Hana in college. The term pau hana means “after work.” We’d get together and jam after school. Then we started doing parties, then bigger and bigger [events] until we started doing concerts. BM: Return with Honour isn’t necessarily a religious album, but I detect some definite Christian and LDS tones throughout. OTUAFI: The whole concept [for the album] was centered on my LDS mission. That’s where you get the title, Return with Honour. Three of us were LDS, the others of a different faith. I had to make sure the others knew that if we’re going to do the CD, I’m going to be leaving on my mission. BM: My favorite track on the album is “Nani.” I guess I must sing it a lot because a few nights ago we woke up in the middle of the night to hear our 2 year old daughter singing it in her sleep. OTUAFI: I have 5 kids and it’s really an eye opener to hear my kids singing that. I was in a little room in my house in San Diego when this was written and I never would have imagined so many years later I’d have kids singing the same song. BM: The thing about Return with Honour for me is the perfect balance of hip-hop with the island sound. OTUAFI: Well that was the concept- to blend hip hop with the island sound. We wanted to have an 808 Drum Kit sound and ukulele. A lot of credit goes to Tina Antoine, our guitar player, for creating that sound. BM: Not to spend too much time on “Nani,” but tell me a little about the uke riff on that song. OTUAFI: Ah, we did that on an 8 track recording device. So I’d record it and we’d run it down, record and run it down because we only had 8 tracks. We combined 4 string uke and 6 string uke, we were one of the first groups to do that. We also were one of the first groups to hook up our Ukes to electric guitar pedals to give it an extra edge. I’ll cover more of Nela’s musical philosophy, his Tongan heritage, and his current work with the Mana Poly All-Stars in the second part of this profile next week. In the meantime, take a listen to “Wake Up My Darling” from Return with Honour here.